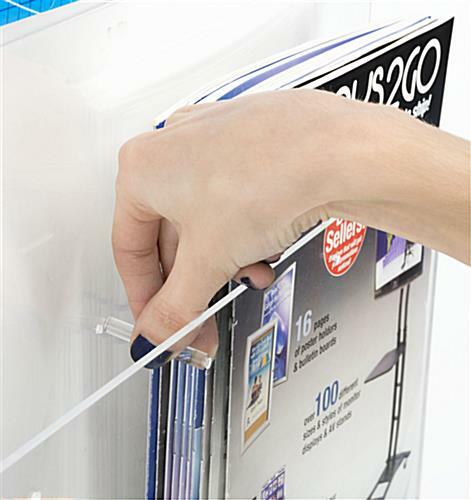 These modular 18x24 poster holders are high-visibility wall-mounting fixtures with adjustable brochure pockets. 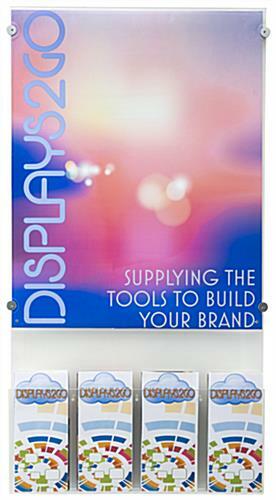 Each of these versatile information signs features a clear acrylic case with magnetic closure for art or images. 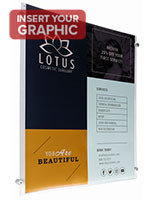 The 18x24 poster holders have brochure cases that can be set to accommodate trifold size pieces (4 across) or letter-size displays (2 across) as well as other variations. 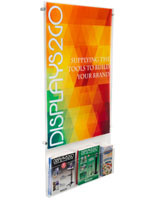 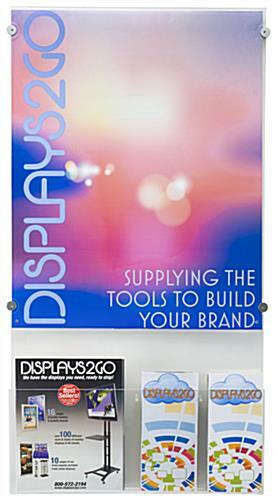 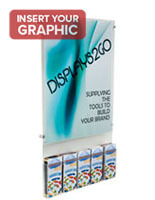 This type of multi-function information display case is perfect for multi-company use as well as for businesses that utilize cross-channel collateral marketing materials. 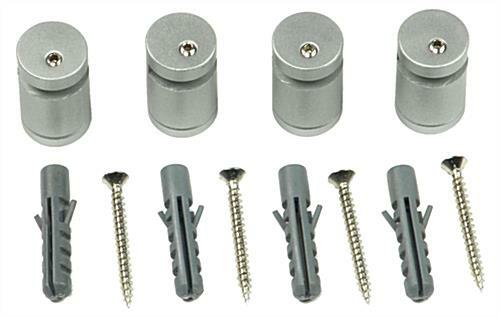 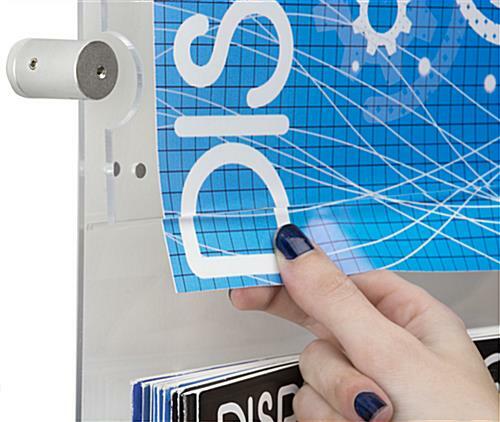 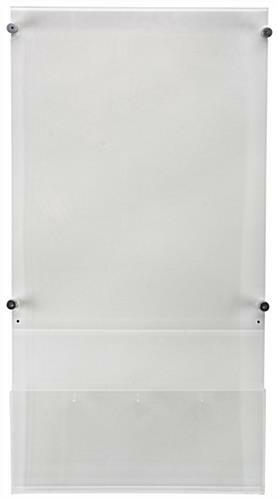 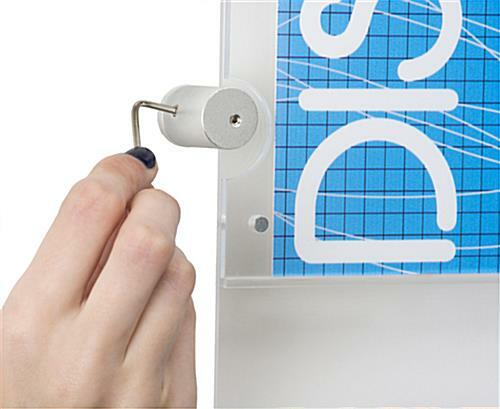 The clear acrylic poster holders are designed to be wall-mounted using the included 1.3" silver edge-grip standoffs. 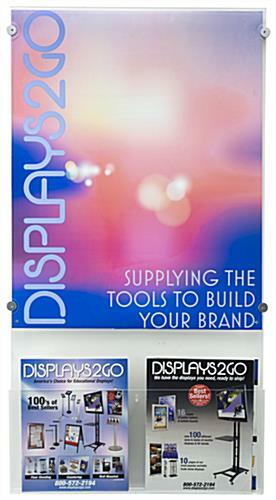 These elegant and eye-catching fixtures are perfect for attracting customer or client attention in high traffic areas.